When you have a car as extraordinary as our client’s, its marketing has to be similarly as engaging. Audi’s A Drive Back in Time campaign focuses on how far the city has come by going back to its roots. Accompanied by an Audi designated driver, some Singaporean pioneers were driven around from Fullerton to Padang. 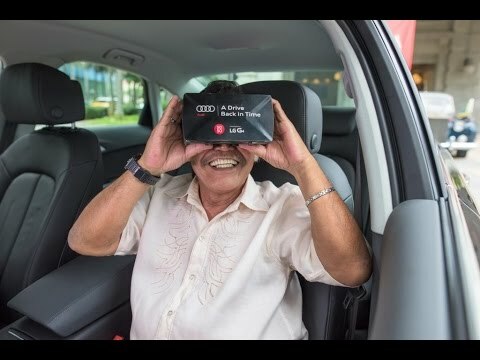 Rock Nano produced a VR representation of the Singapore landscape back in 1965 and treated the viewers to a nostalgic trip to their past, all within the comfort of a smooth ride. Awards won for Audi and Agency of Record Publicis. Most importantly, we brought nostalgia and good memories to the baby boomers who had a good time, travelling back to 1965.